Welcome to the home of a real Vermont Santa Claus. Our Santa Claus brings the wonderful tradition of the man in the Red Suit to community and corporate events and even private home visits. 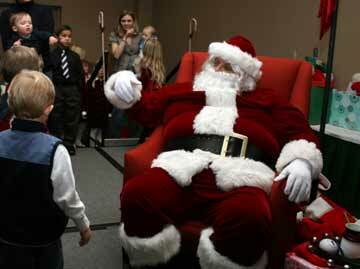 If you are looking for a Santa Claus for your next event. Our Santa is dedicated to bringing premium entertainment value to your event and he takes pride in the services he offers. When you hire Vermont Santa, you get a professional gentleman Santa complete with a custom professional Santa Suit and Accessories.